When The Simpsons works well, it all seems so simple. Here’s a straightforward emotional story: Homer is a cad, Marge gets angry, Homer does crazy stuff to win her back. We’ve seen this before, more than any other single Simpsons plot type (except perhaps “Lisa doesn’t fit in with her peers”); it was even one of the driving forces of The Simpsons Movie. Of course, it’s popular/repeated because it works: It lets Homer be wacky-funny, Marge gets to be grumpy-funny, and it ends with the main character, Homer, demonstrating some growth. 23 seasons guarantees some level of repetition, so why not go with what works? “The Spy Who Learned Me” works, and works well. The way Homer annoys Marge—by making horrible jokes during a terrible movie while being egged on by Lenny and Carl—is good fun. It allows the show to do two of the things it’s always been best at: horrible puns and movie parodies. 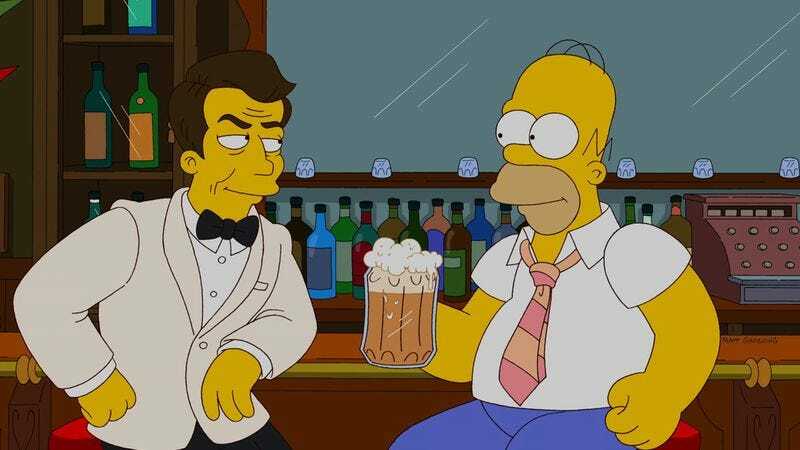 The old Simpsons favorite, the dumb action movie, gets the call this time, with Bryan Cranston voicing Stradivarius Cain, an American James Bond. They’re easy, cheap jokes, sure, but if “This year’s theme: evil in the age of social media. We have prepared three break-out rooms for small group discussions” doesn’t get a chuckle out of you, then you’ve attended a happily smaller number of conferences than I have. It also involves Lisa’s soft spot for Nelson, which hasn’t always been dealt with by the show, but takes a pleasant form here. As Nelson takes people’s lunch money, he comes to Lisa, and passes her by to head to her brother: “See if you can find out where my dolls are.” “You might not like the answer.” “I just want closure,” she says with some resignation, implying a pair of old relationships that have gotten just a little bit too comfortable. It makes very little sense with the characters’ age, but with the age of the show, it works for a laugh. That’s largely how “The Spy Who Learned Me” works: discussing the structure makes it seem tired; thinking about the character dynamics makes it look redundant; but it’s just fun to watch. 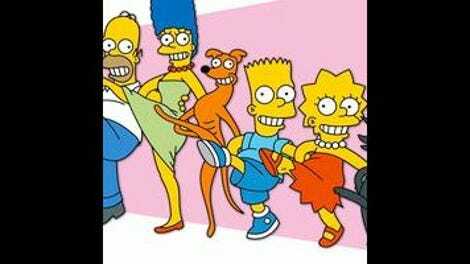 The Simpson family is all in fine form, and the jokes work much more often than not. That’s a success.